In January U.S. Secretary of Defense Leon Panetta and Chairman of the Joint Chiefs of Staff Gen. Martin Dempsey announced the removal of the combat exclusion ban for female soldiers, thereby creating a fully gender integrated force by 2016. Foote, who served three decades and commanded at the company, battalion, brigade and major Army installation levels, said she has been advocating since the ’60s to get rid of dysfunctional policies and “to give women a chance and get out of their way.” Via phone from her home in Maryland, Foote said that women in Iraq and Afghanistan are involved in combat situations every day but they are not recognized for it. Brig. Gen. (Ret.) Pat Foote is interviewed in “MAKERS: Women Who Make America,” a documentary featuring notable women who have made pioneering contributions to shape the world. Condoleezza Rice, Gloria Steinem, Hillary Clinton and Billie Jean King are included in the film, described as “the most dynamic collection of women’s stories ever assembled.” PBS will air selected interviews on Feb. 26; check local listings for the schedule in your area. Before completing her final tour of duty as commanding general of Fort Belvoir, Va., Foote served at Vietnam Headquarters in 1967, with six months of that duty as a public affairs officer in Saigon and six months in Long Binh. “The Army sent me there wearing heels, hose and a cute little suit with no weapons and no training; women assigned there were ill-equipped in the event of an attack,” she said. 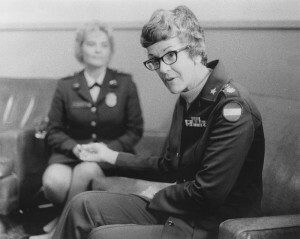 After Vietnam she was assigned to personnel management positions in the Pentagon and within the Army’s Personnel Command; she was the first woman Army officer to serve on the faculty of the Army War College and the first woman officer to command an army brigade in Europe; and she was the only woman general officer to serve as the Army’s Deputy Inspector General for Inspections. 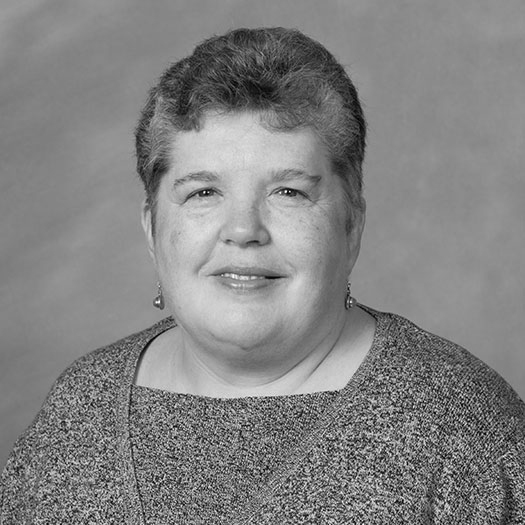 Pat Foote received the Distinguished Alumni Award in 1987.